Indian culture is known all over the world for its culture & beauty. From North,East, South or West, every part has their own set of rituals and customs, especially the wedding traditions and the bridal outfits. In every part of the country the wedding rituals & the bridal looks are different, Take a look how it is different in every part. Tamil Brides are known for their Kanjeevaram sarees and the gold jewellery. Their hairs are also braided in the most gorgeous way and then decorated with gold jewellery & white flowers. Best part is even their head is also completely decorated with the gold mang tika & matha patti. 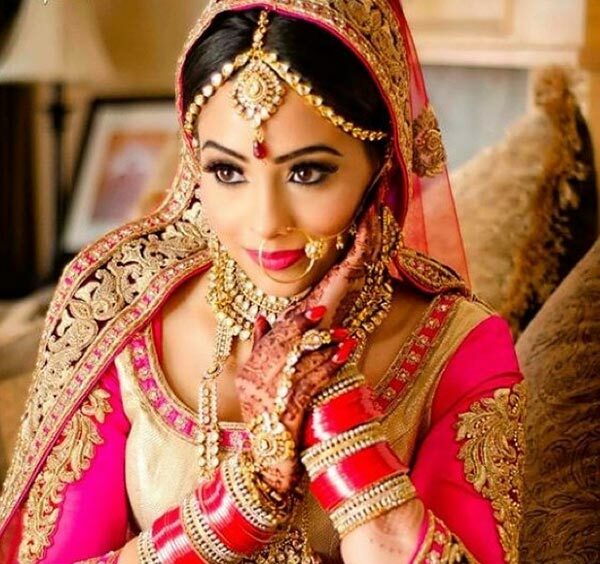 Punjabi weddings known for their lavish big fat wedding, Particularly the bride worn beautifully in a maroon, red or any other trendy colors bridal lehenga with all jewelries like nose ring,Baracelet, necklace, chooda, mang tika & etc….